GERALD ''JERRY'' JOHN HOLECKO AUSTINTOWN – Gerald “Jerry” John Holecko, 75, passed away peacefully, at his residence June 3, 2013. He was born Feb. 1, 1938, in Youngstown, the son of John and Suzanna Holecko. Jerry was a 1956 graduate of Woodrow Wilson High School and a veteran of the U.S. Marine Corps. Affectionately known as “Hollywood” by his co-workers, Jerry retired from General Motors in 1997 after 32 years. Following his retirement in 1997, he began working as the maintenance and groundskeeper at the Emmanuel Community Church until 2010. He also served on the board for Emmanuel Community for several years. Jerry was a member of the Youngstown Chapter of HOG and the Eagles Motorcycle Club. He enjoyed riding his Harley-Davidson, camping, boating, and barefoot skiing. He loved spending time with his family, especially his two granddaughters, Tia and Tara, who called him “Papa.” He will be dearly missed by his wife, Marsha, whom he married Nov. 11, 2011; his stepdaughter, Sherry (John) Bendetta, of Beloit; his daughter, Donna (Steve) Valenzuela and two sons, Jay (Susie) DeMicco and Tony (Marlena) DeMicco, all of California; his sister, Lillian Mastran of Texas; six stepchildren, Tracy, Renee, Laura, Kelly, James and Ashley; 18 grandchildren; and one great-grandchild. Besides his parents, Jerry was preceded in death by his wife of 40 years, Shirley. 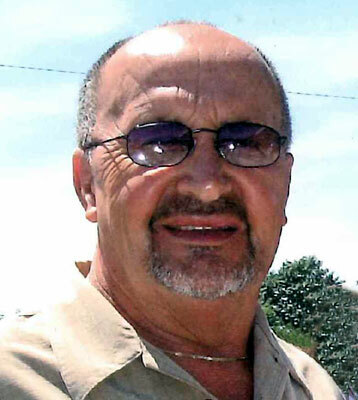 Friends will be received Sunday, June 9, 2013, from 4 to 7 p.m. at the Lane Family Funeral Homes, Austintown Chapel. Funeral services will be held Monday, June 10, 2013, at 10 a.m. at the Austintown Chapel. Interment will be at Green Haven Cemetery. In lieu of flowers, memorial contributions can be made in Jerry’s name to Hospice of the Valley or to the Emmanuel Community Church. Arrangements are entrusted to the Lane Family Funeral Homes, Austintown Chapel.